Sqrs is short for Squares, and like the simplified name, is a minimalist twist on a familiar game concept. 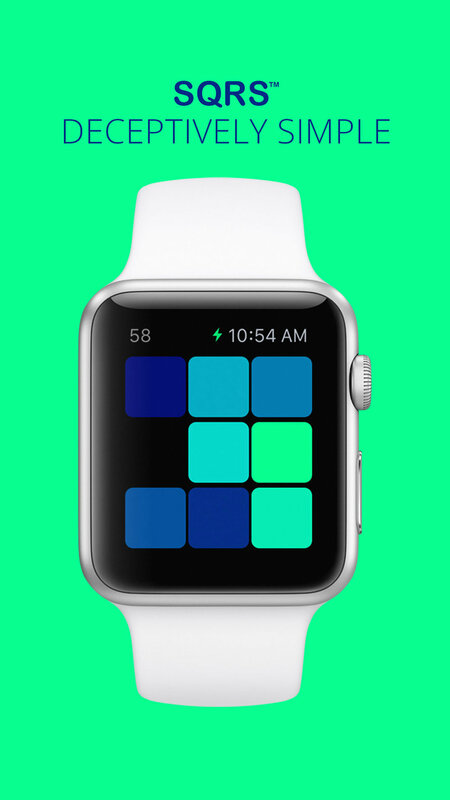 Users tap to slide tiles around to form a gradient from light to dark. Similar to a Rubik cube with only one side. The colors are randomized and is different every time. 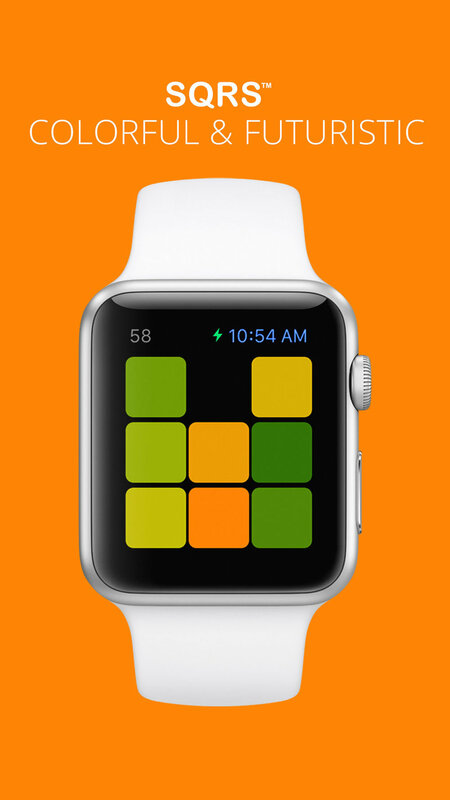 The simplified look complements the Apple Watch’s sleek and modern aesthetic.